A Southern Baptist church in one of the poorest communities in the United States plans to build 20 tiny homes to help accommodate the needs of recovering drug addicts in their quest toward sobriety. Crossroads Community Baptist Church in McCreary County, Kentucky, and its pastor, Grant Hasty, are constructing a community of tiny homes that will assist a county that has been hit hard by the ongoing opioid epidemic in the U.S.
WBIR news reports that the project comes as 32 percent of McCreary's population lives below the poverty line. "When someone wants help and they don't have a support system behind them on a regular basis to hold them accountable ... that's when they have issues of relapsing," Hasty told the television news outlet. The pastor explained that the church currently has about 13 acres of land on a horse farm, about half of which will be used for the development of the tiny homes. Along with helping the addicts stay clean, the program aims to incorporate a job training element to help them get back on their feet financially. Program volunteer Vicki Kidd told WBIR that those struggling with addiction need a place to go where they can "start new." "There's a hopelessness here," she said, adding that the homes offer "a new beginning." She assured that the tiny homes will not be a "hand-out." "[I]t's a hand-up and that's what we need to start doing in McCreary County," Kidd said. The initiative has gained the attention of missionary programs across the country. 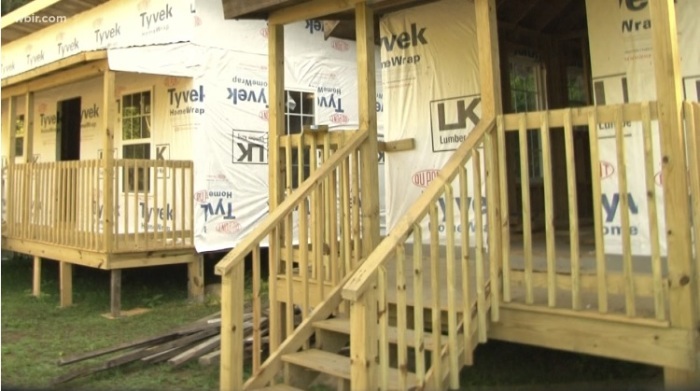 WBIR reports that a missions group in Georgia plans to build two more tiny homes for recovering addicts. Additionally, church groups from Florida and Texas plan to travel in the coming weeks to help with the project. "I think what this will do is it will bring hope," Kidd said. Hasty said that it won't be until after the construction is finished before it is decided who will live in the homes. As the opioid crisis has hit the Appalachian region especially hard, the Kentucky Baptist Convention is holding a training conference in August called "Breaking the Silence." The conference aims to teach church leaders and families how to better deal with the crisis when it is affecting their own church members or family members. Attendees of the conference will be taught how to better understand the addicted brain, learn how to reach out with compassion and grace and how to find practical assistance and legal leverage for families. "The consequences of the opioid crisis reaches into every community, affecting every family and church," a webpage for the conference states. "We all know someone who has suffered under this scourge and it demands a response. We must not remain silent. The opioid crisis is an epidemic that demands further engagement by the church." In May, the American Association of Christian Counselors offered a free training day at a church in Pennsylvania to help church leaders and others help combat the opioid crisis. Crossroads Community Baptist Church is just one of many churches across the U.S. that have launched extraordinary outreach projects to assist their struggling communities — whether it be with rehabilitation or other avenues of ministry. In Los Angeles, Nanoom Christian Fellowship is a Korean-American church in the city that offers free drug-free housing, food and counseling to assist drug addicts on the road to recovery. The program is open to addicts of any ethnicity and can serve as many as 50 people at a time. The program is so popular, KPCC reports, that it has over 300 people on a waitlist. In April, a Texas megachurch announced that it helped pay off over $10 million worth of medical bills for over 4,000 local families through a program called RIP Medical Debt. Through the act of generosity, Covenant Church in Carrollton, Texas, paid off the medical bills for every veteran within a 20-mile radius of the church. "Right now, there is no veteran in our radius where we minister that will have [medical] debt from this day forward," Pastor Stephen Hayes said in at the time. "It is already paid. Really cool." In the impoverished community of Hampton, Virginia, the Vineyard Church is operating its own nonprofit grocery store (The Storehouse) that allows residents to purchase the groceries and household items they need at a much lower price than at other grocery stores. "We went from once a month to every Saturday to doing it weekly. It went from doing it two or three days a week to doing it five days a week now and opening it up to the general public," Pastor Jacob Hopson told The Christian Post in May. "We started off and saw that our members had about a 75 percent reduction in their grocery budget."